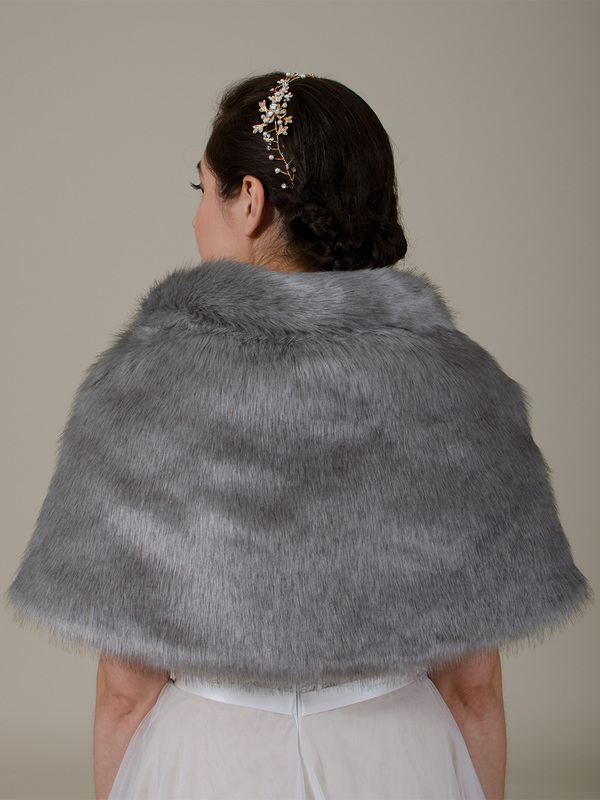 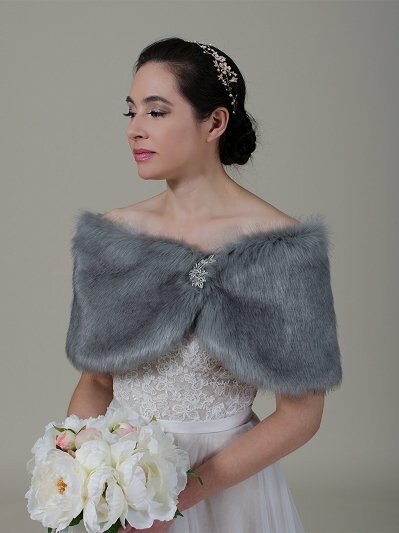 This is a beautiful Silver color faux fur wrap stole made of high imitation faux fur fabrics with darker tips. 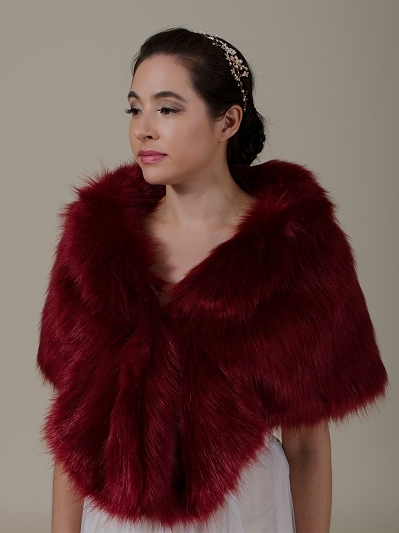 There is a hook and eye closure in the front to fasten the wrap. 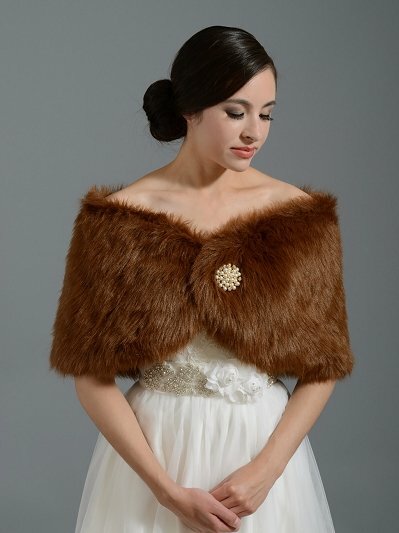 It's perfect for wedding or other special occasions.